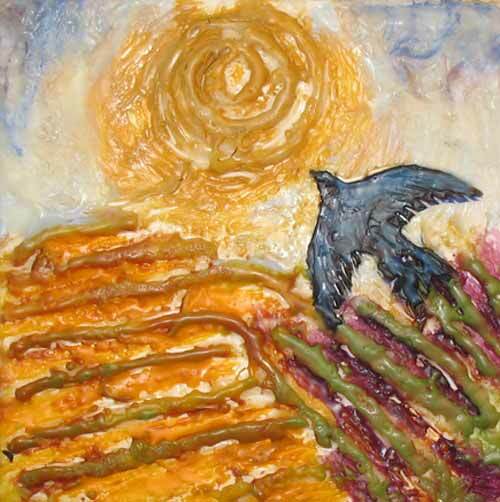 Today I had the pleasure of painting, laughing and playing with six wonderful women in my Tons of Texture class: Casey, Charmaine, Cynthia, Deanna, Kalynne and Jennifer. 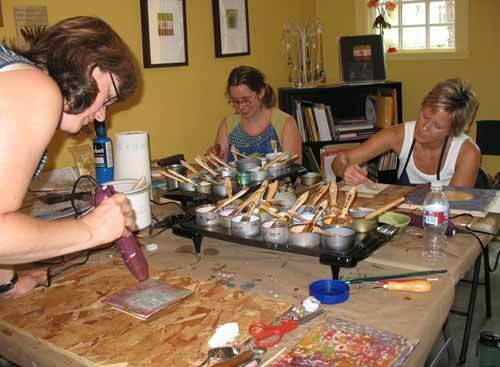 This is one of my new intermediate classes for those who have already gotten their hands dirty (or sticky?) 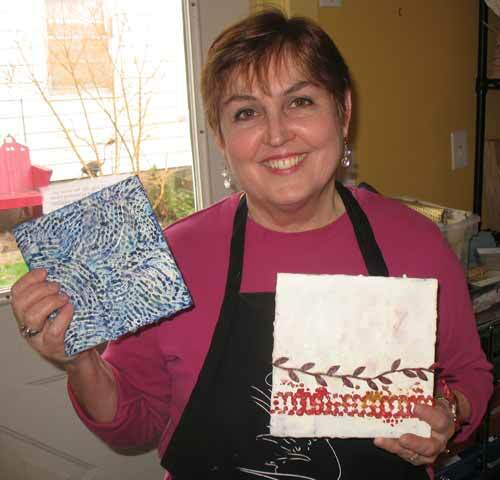 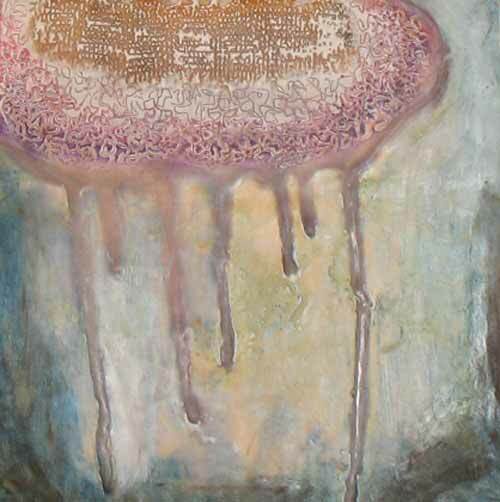 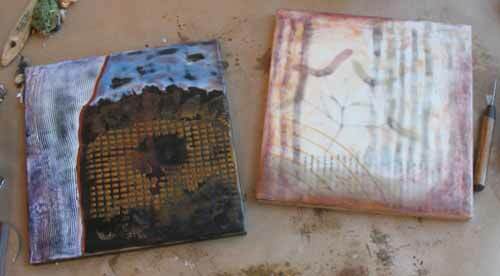 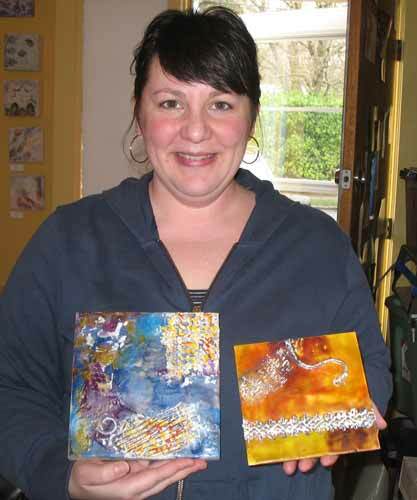 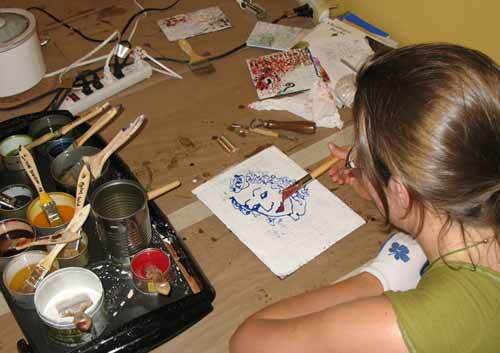 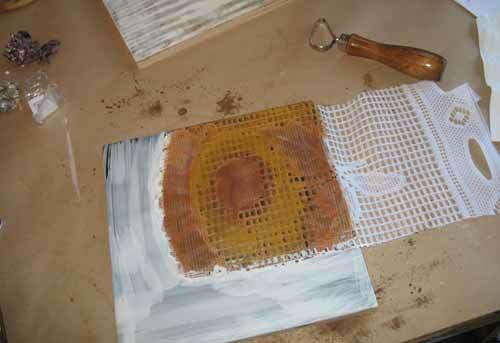 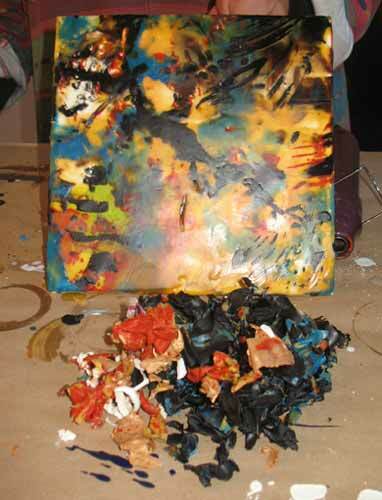 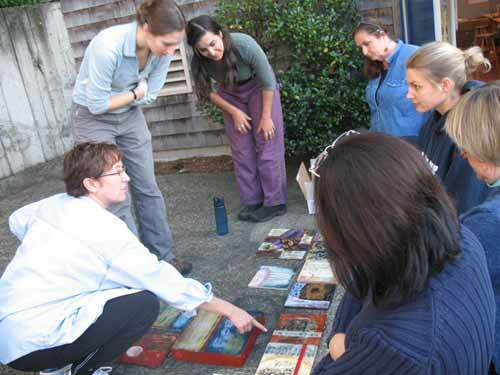 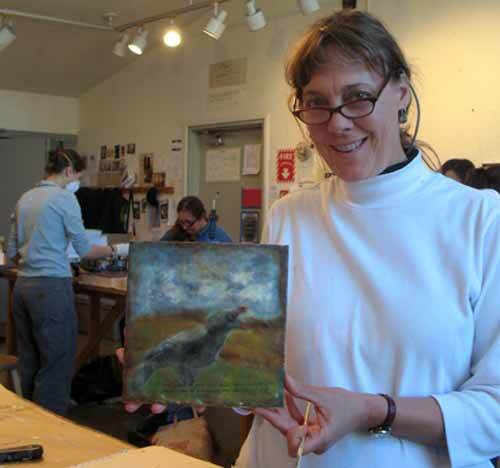 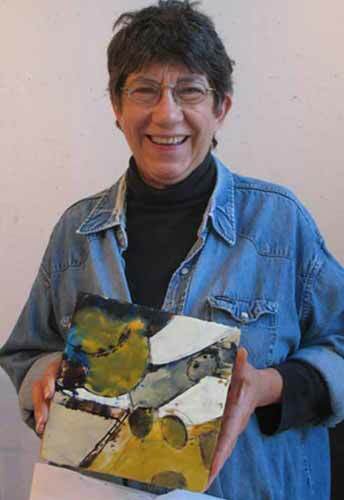 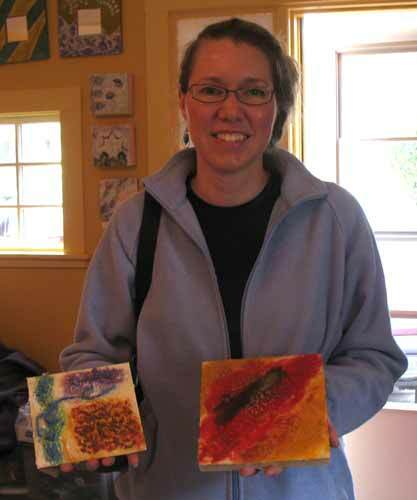 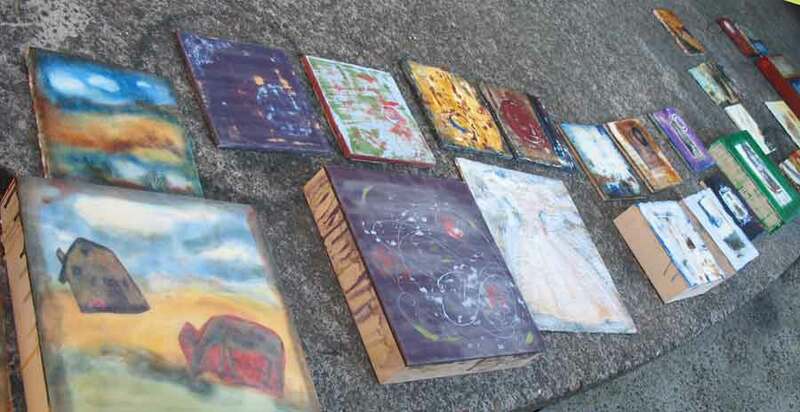 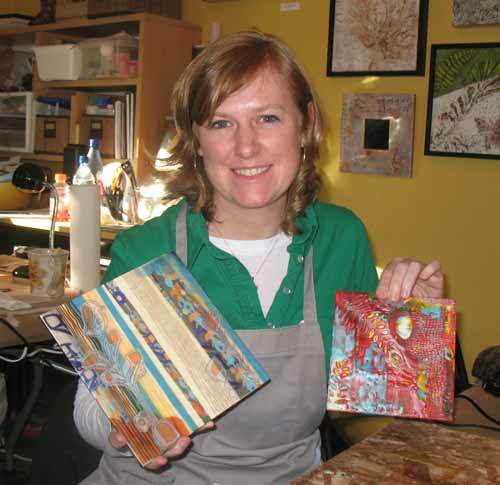 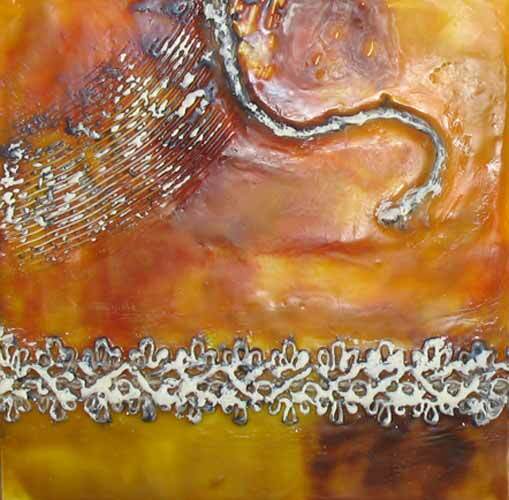 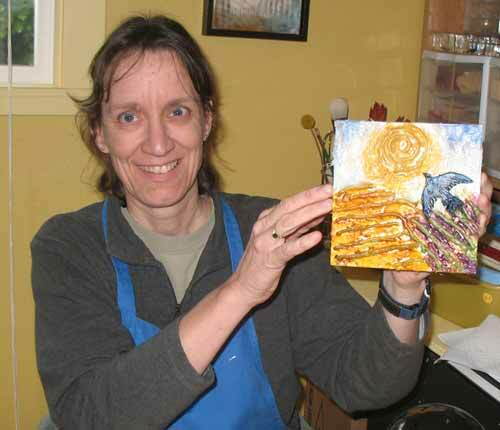 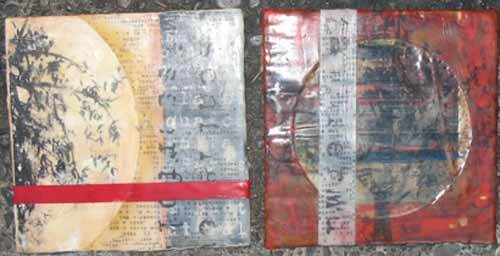 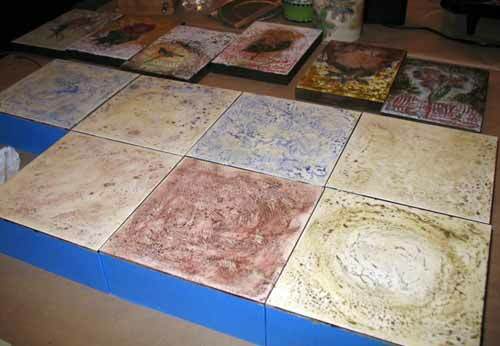 with wax by taking a beginning encaustic class with me or any other teacher, or even experimenting on their own. 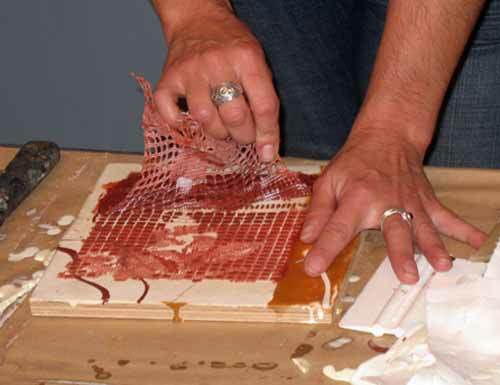 The only requirement is that you already know how to paint on and fuse layers of wax so we can get right into the fun stuff without reviewing the basics. 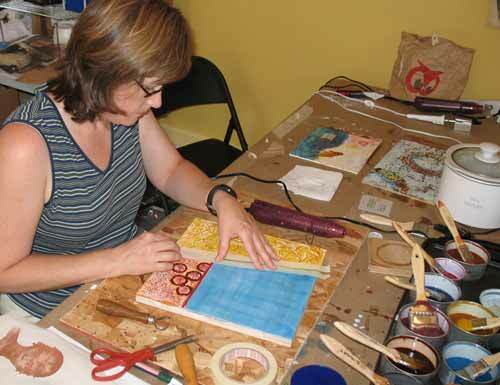 Check my web site for a full schedule of my upcoming classes, including Wax Image Transfers, Mixing Your Own Paint, more Tons of Texture classes, and in April I’ll add a new one: Working with Masks and Stencils. 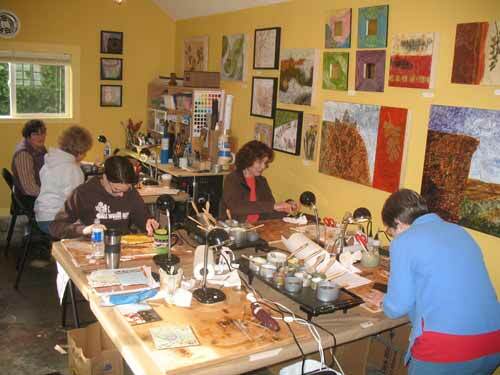 Here’s peek into the fun we had today and the beautiful work that was created. 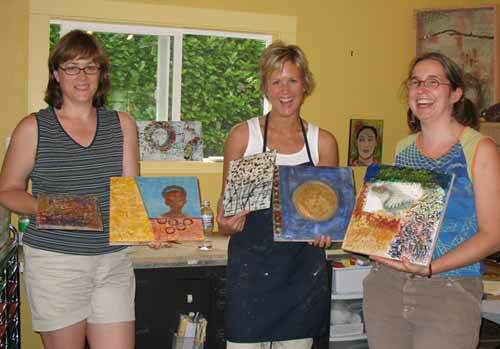 Click on the smaller photos to see larger versions. 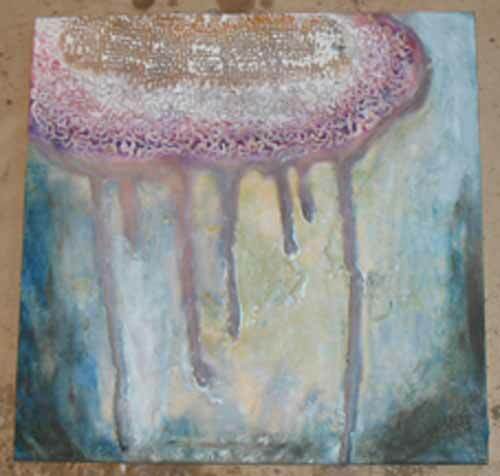 The beautiful work above is by Casey.